As the release of the live-action version looms, expect to see a bunch of LEGO creations inspired by Ghost In The Shell. 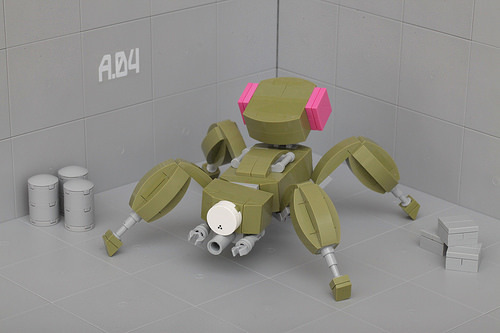 However, all you would-be ThinkTank builders out there should beware, Pascal has cornered the market in cute-but-deadly styling for your favourite mecha design. The use of olive green and the tip-toe stance are nice, but it’s the neon burst of pink coupled with the stark backdrop which really makes this model stand out.